In addition to beautiful natural surroundings, crystal clear seas and fresh air, and traditionally hospitable people, one of the main reasons for choosing Crikvenica for your holidays is the area’s balmy, stable and healthy Mediterranean climate and microclimate. The winters here are mild, the summers are warm yet not too hot – the ideal conditions for the development of health tourism here more than one century ago. The area’s long, sand and pebble beaches, with numerous play areas for children, are all connected by a footpath through its lush Mediterranean vegetation. On offer here are plenty of opportunities to sunbathe, swim, walk, cycle or enjoy recreational sports. Crikvenica’s tourism offer reflects the valuable historical and cultural heritage of the local area. This includes events such as the traditional Fishermen’s Week (one of the oldest festivals in Crikvenica), the Aquarium, filled with more than 150 species of fish, the ever-popular Love Path, the Crikvenica Town Museum, and a fine variety of galleries. 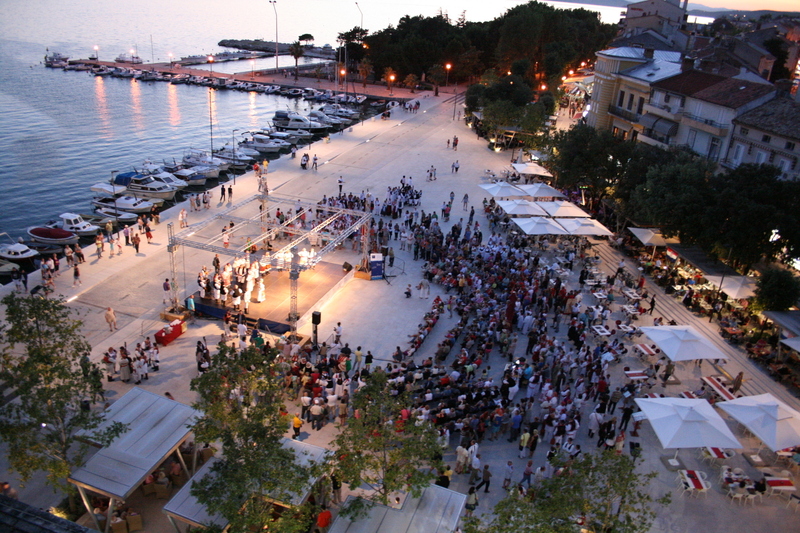 The area’s extensive sporting, entertainment, cultural and gastronomic programmes, and its unique mingling of sun, fine air, scents of the sea and of pine trees, make Crikvenica a destination that appeals to all the senses, the perfect venue for a relaxing holiday that will surely become part of your most treasured holiday memories.